The passes listed here are those which gain you entry to the escarpment and Lesotho, where the average altitude above sea level usually exceeds 3 000 metres. 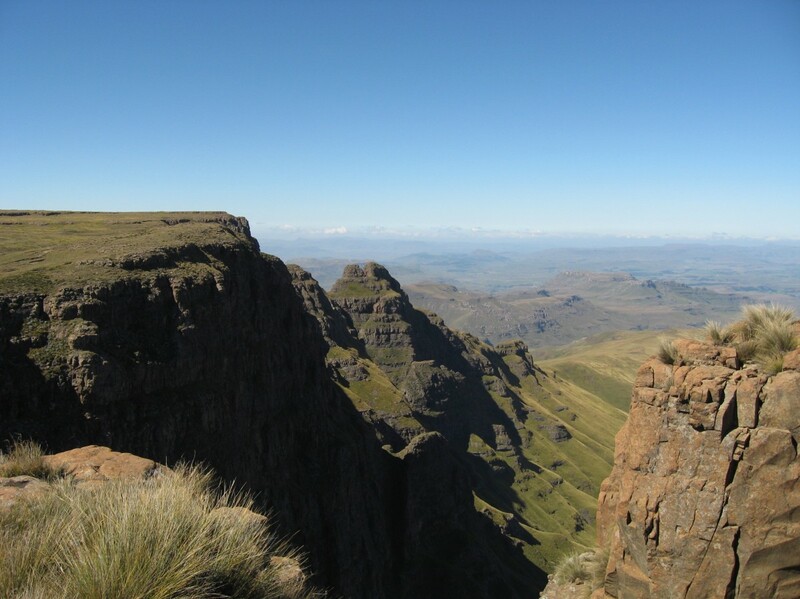 Because of the height climbed (which may exceed 1 km), the thin air, the distances involved, their steepness and even their remoteness, passes are among the greatest physical and mental challenges that a hiker can face in South Africa. The condition of the passes varies considerably. Some can be easily negotiated by beginners, while others will require the use of ropes in some sections. Conditions are also affected by the time of year - in winter some of the passes may be iced up and too dangerous to use, and in summer they may be too wet. 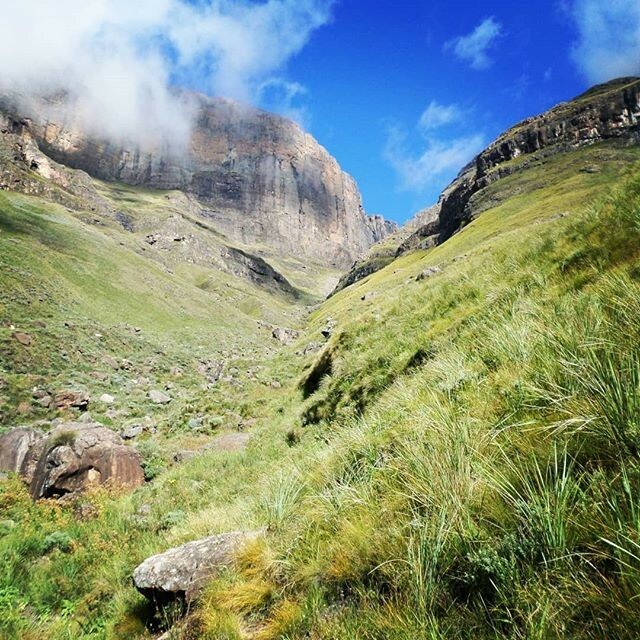 Amakehla Pass is a fairly easy pass to hike. It can be accessed in two ways: from Pholela Cave or by starting on the connecting path between the two caves. Amakhela Pass from Pholela Cave which is located in the Cobham area of the Drakesnberg. 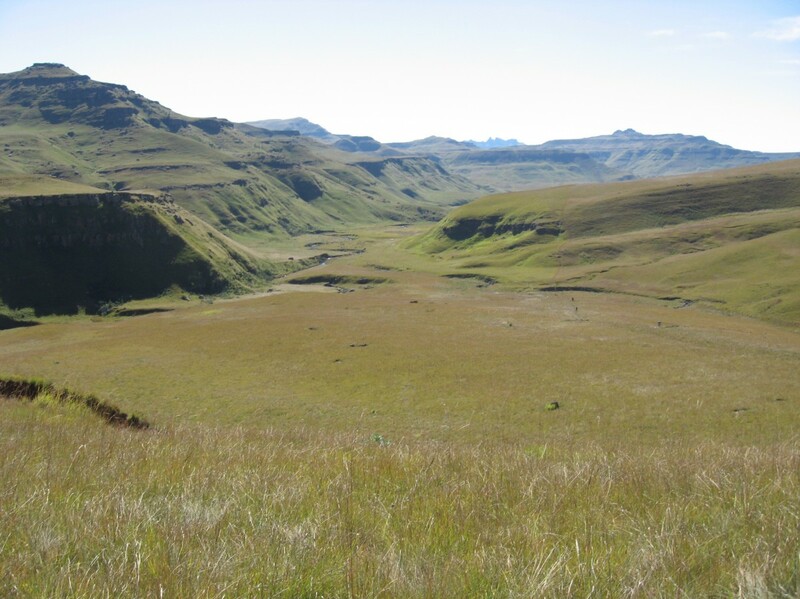 Amakhela Pass via the ridge route which is located in the Cobham region of the Drakensberg. Beacon Buttress Gully used to be the only path accessing the escarpment. This short and steep gully is a fun alternative to the Chain Ladder Route. After the steep climb beautiful view rewards you near the summit. Black Eagle Pass is not on the main escarpment and forms part of the Giants Cup Hikeathon. Bollard Pass is not marked on most hiking maps. It is closely associated with and named after Bollard Peak. 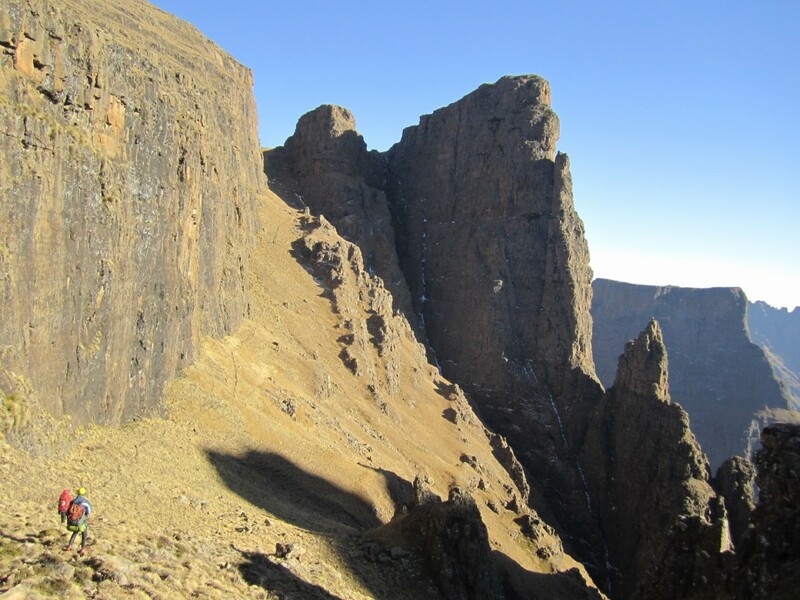 In the Giants Castle area to the left of Langalibalele Pass, a relatively easy pass with some zig-zagging between the each small cliff on the way up. 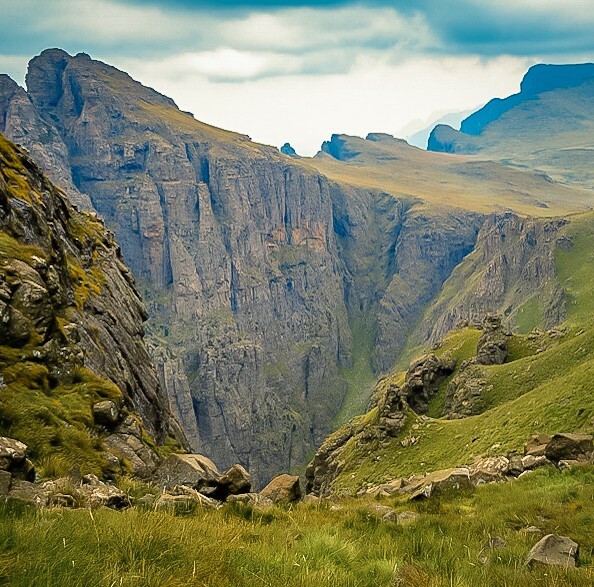 Bushman's Nek Pass is situated on a path towards the Sehlabathebe National Park in Lesotho. The route is suitable for hiking and horse riding. Buttress Pass is very straightforward and, hence, is also known as The Passage. 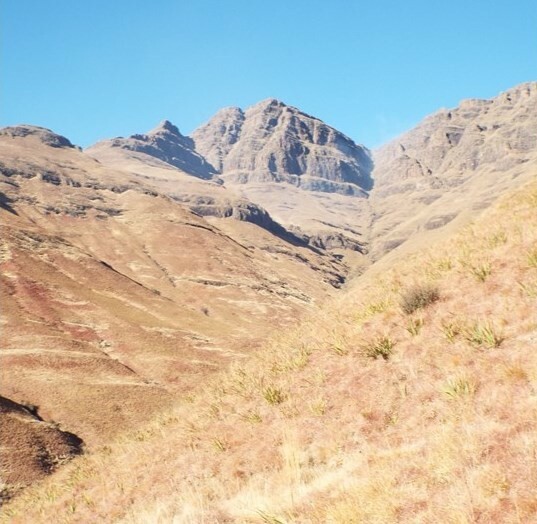 The pass starts on the contour path 2km south of Redi Pass. 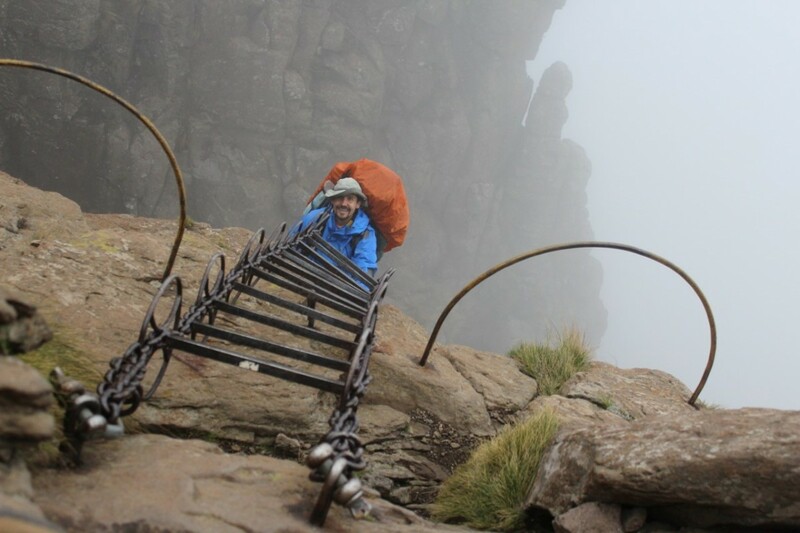 Cathkin Mountain Pass is easily tackled by the more experienced hiker. It is rather steep but does gradually become gentler. The pass on the right is Ship's Prow Pass and Cathkin Mountain Pass is on the left. Cockade Pass is one of the most direct routes to the escarpment in the Cathedral Peak area. It is split into two gullies, a main and a side gully. It is far less hiked than the other more well known passes but it has amazing scenery. Cockade Pass is ranked as moderate in terms of difficulty. Corner Pass is not technically difficult but does involve some scrambles around boulders. There is no specific path to follow, generally going along the narrow gully is best. The area in which Cowl Pass is situated is known as the Champagne Valley which consists of three extraordinary peaks: Monk's Cowl, Cathkin and Champagne Castle. Dagga Neck / Kgotjwane Pass is in the Free State. 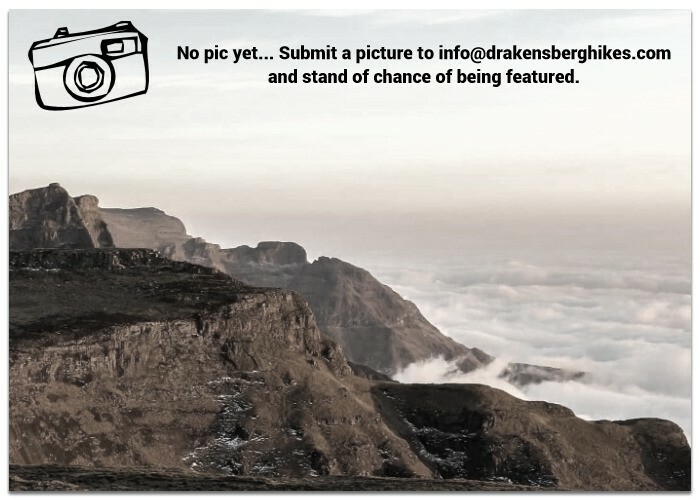 Dyke Pass is located in the Vergelegen region of the Drakensberg. 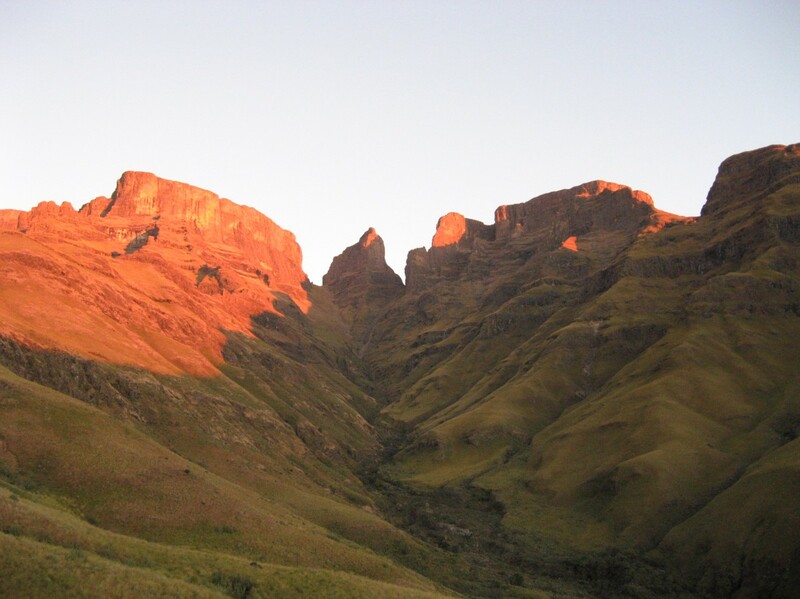 Easter Pass also known as Christmas Pass is located in the Northern Drakensberg, Cathedral Peak area near Easter Cave. The Eastern Gully is a Rock Pass situated in the Giant's Castle area. 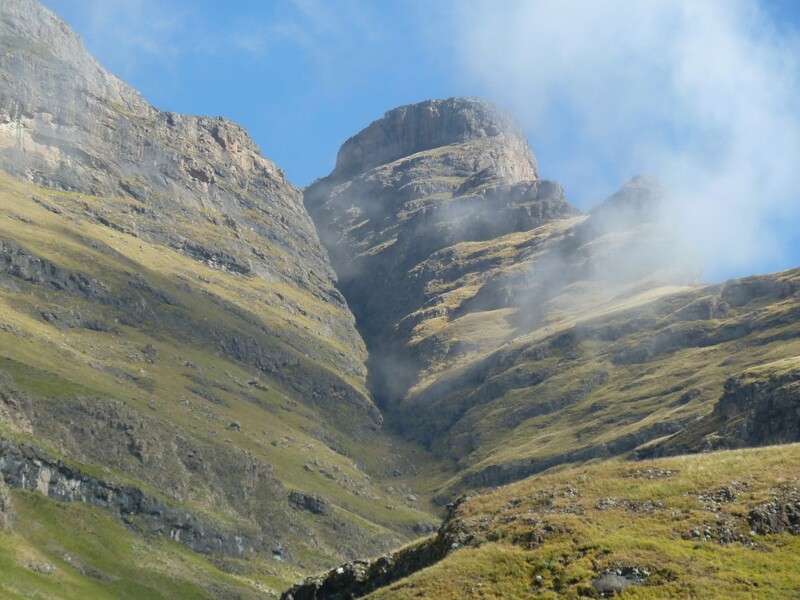 Elandshoek Pass is situated in the Giant's Castle area. There is evidence that the path is frequently used as a smugglers/stock theft pass. Elandshoek is a pass with spectacular views. Elephant Gully, although beautifully scenic and dramatic, is not climbed often. It is a narrow gully that varies in steepness and therefore may be a fairly difficult hike. It is also known as the Elephant Shortcut. 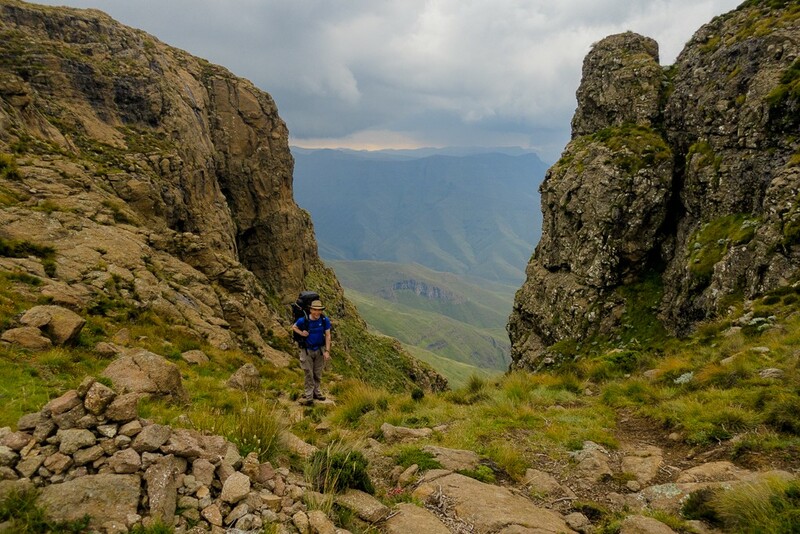 In most hikers' opinions Fangs Pass is definitely one of the most stunning passes in the Mnweni area and perhaps even in the entire Drakensberg. It is a difficult pass to undertake and should not be attempted by the inexperienced. It starts at a small waterfall where the Fangs tributary joins the Mbundini River.